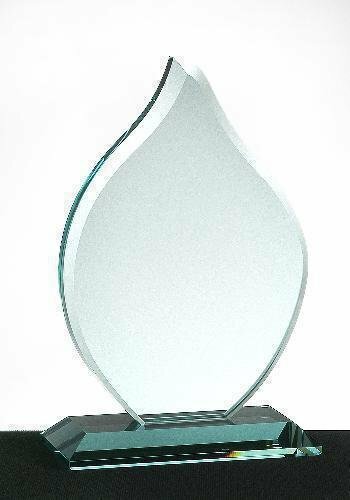 6 1/2" X 8 3/4"
Flame Jade Glass Award. This item is 3/4" thick. Available in three sizes. Elegant mitered base. 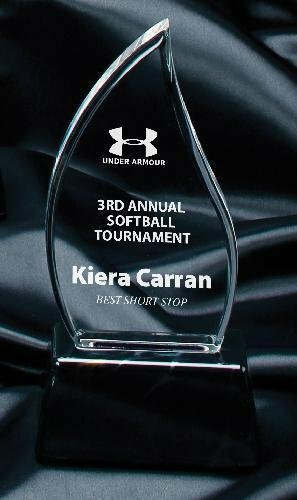 The large personalization area of this 3/8” thick flame shaped glass award is framed by a 1/2” accent border. Facets cut into the border reflect light and color for added beauty and visual appeal. The flame is mounted to a black glass base that can also be personalized. 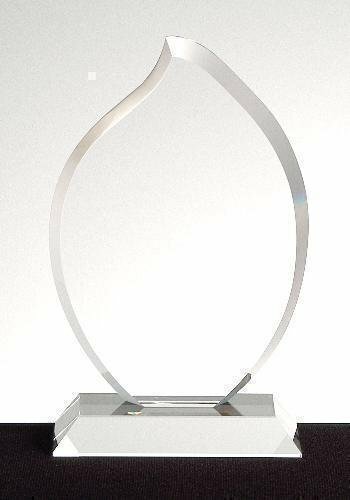 Packaged in a lined gift box for added elegance and available in 2 sizes, it makes an exquisite award to honor excellence.